It’s hard to believe but the real Santa is due back to the Roundwood & Moneystown Parish Sale of Work this year! 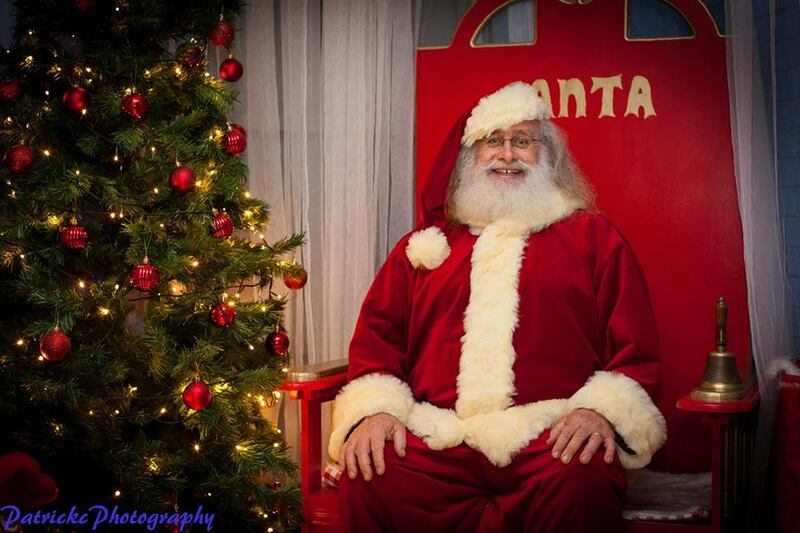 He will be dropping by from 1pm this Sunday (2nd of December) to Áras an Tochar so make sure you don’t miss him! This entry was posted in News & Events on November 29, 2018 by roundwoodiewicklow. 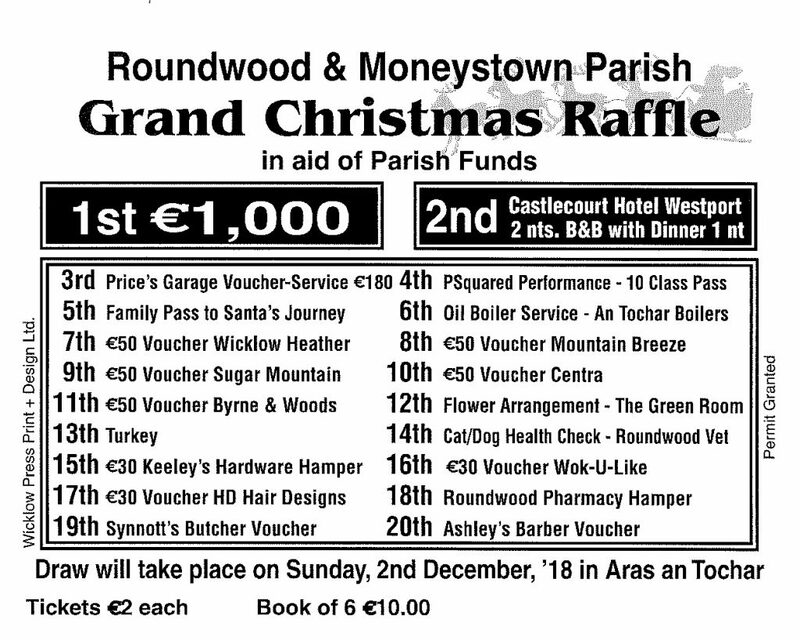 Thanks to all the local businesses & people who generously donated prizes to the Roundwood & Moneystown Grand Raffle or made a financial contribution towards the grand prize of €1000. Tickets are currently being dropped by a great team of volunteers across the Parish. They are also on sale now in HD Hair Design and in the Post Office in Roundwood Village if your house was missed! There will be more raffles on the day of the Sale of Work for Christmas cakes, turkeys, Smyth’s Toys vouchers, etc. ~ again donated by local people or businesses. So please support the annual Sale of Work in some way if you can. This entry was posted in News & Events on November 23, 2018 by roundwoodiewicklow. 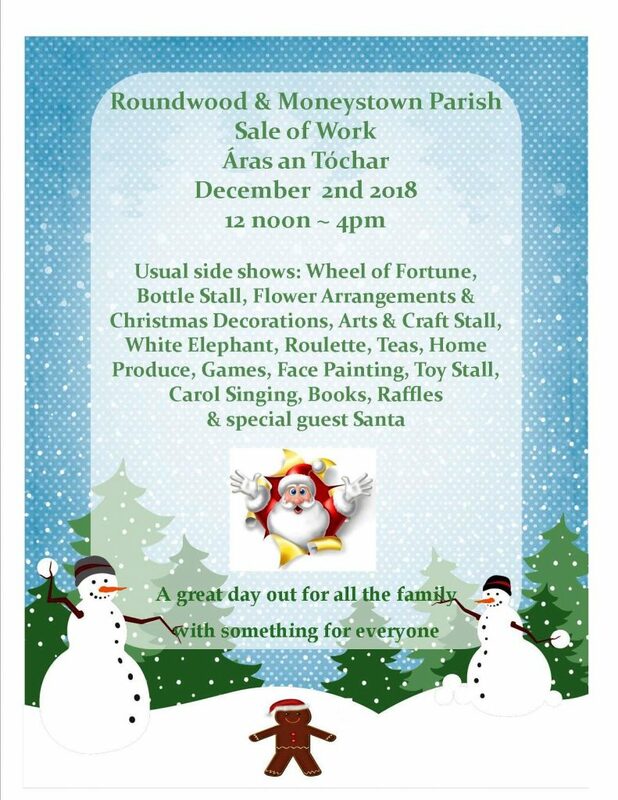 The Roundwood & Moneystown Parish Sale of Work is always a great community event. Donations of home baking and produce are most welcome & can be brought up to Áras an Tochar before 12 noon on the day. Also needed are bottle for the bottle stall. Lots of fantastic prizes in the Grand Raffle (tickets are on sale in Roundwood Post Office & HD Hair Design now) and also delicious Christmas cakes, Christmas floral arrangements, toy shop & Christmas turkey vouchers to raffle & more to be won on the day. It’s the place to get your Christmas wreaths and floral displays which are all made and donated by local people. The word on the street is that the real Santa (who was on duty last year) has cleared his schedule and is making his way back after a much needed rest. Get your Santa hat & your outrageous Christmas jumper ready …. just 10 more sleeps!! 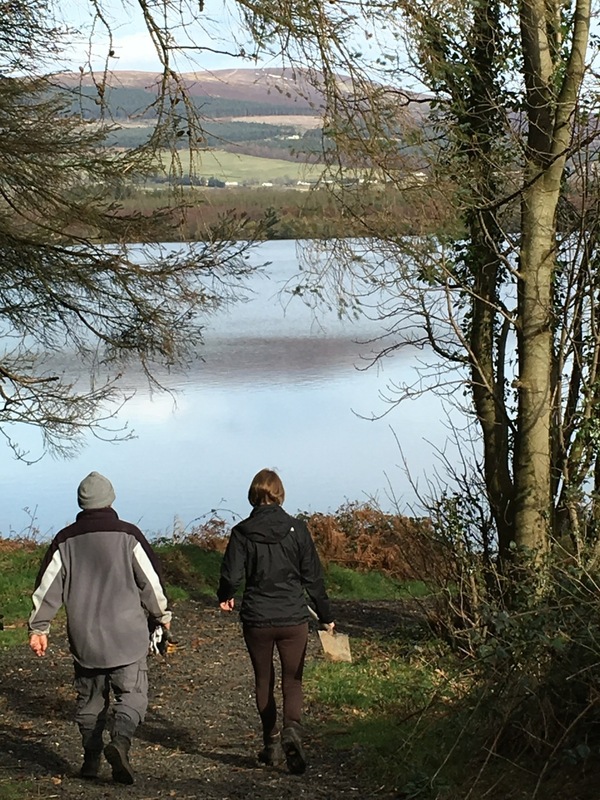 This entry was posted in News & Events on November 21, 2018 by roundwoodiewicklow.